Heart disease and cancer can be easily branded as the two most notorious and common killers in the United States. However, there are other causes of death which are less common with the nation as a whole but are actually much more typical in specific states. 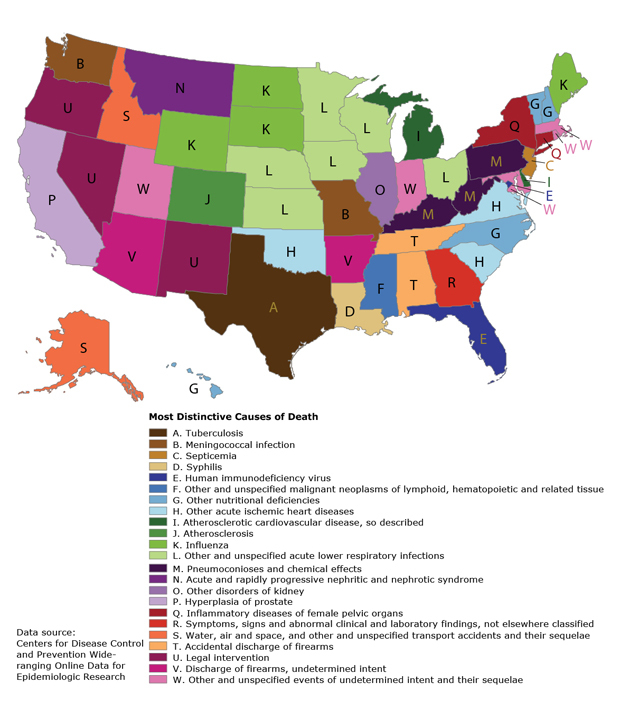 A new color-coded map has been created by the CDC in order to categorize the most likely causes of death for each of the 50 U.S. states. According to Francis Boscoe, a research scientist at New York State Cancer Registry the most distinctive causes of death in majority of cases is not so surprising. In several northern states, including Maine, North Dakota, South Dakota and Wyoming the flu is considered as the most distinctive cause of death. In Alaska and Idaho the most distinctive causes of death is considered to be plane crashes or boat accidents. In mining states such as Pennsylvania, West Virginia and Kentucky pneumoconiosis, a group of lung diseases caused by inhaling dusts, are branded as the most distinctive causes of death. There were however, some unexpected findings. In New Jersey, Sepsis is categorized as the most distinctive cause of death and deaths by legal intervention. Surprisingly the most distinctive cause of death in New Mexico, Nevada and Oregon is that caused by law enforcement officers, excluding legal executions. In order to determine the most distinctive causes of death for each individual state, the researchers from the Centers for Disease Control and Prevention initiated a list of 113 causes of death. Then, the researchers began determining the estimate of death from each cause, for each state and divided this by the rate of death from that particular cause in the United States as a whole. 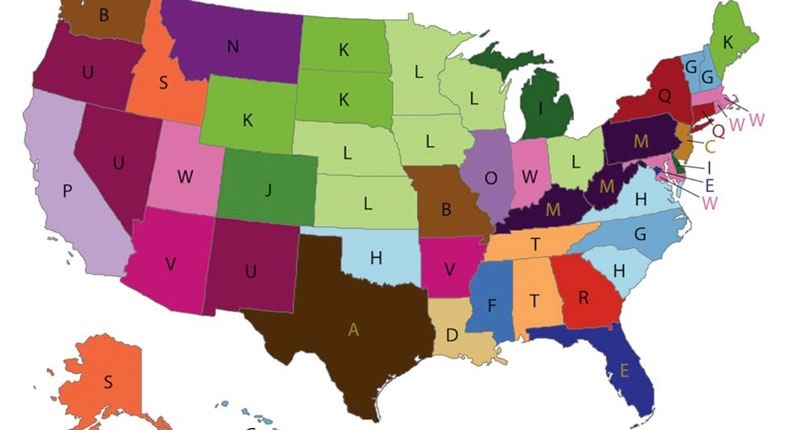 This theory allowed the researchers to observe which of the states had higher rates of death from certain causes than the rest of the United States. In Alaska, for instance the rate of death for plane crashes and boat accidents was about 4 deaths per 100,000 people; whereas the national rate is 0.6 deaths per 100,000 people. This essentially proves beyond reasonable doubt that deaths from plane crashes or boat accidents are seven times more likely in Alaska than entire United States. According to Boscoe, this “distinctive” cause of death makes sense, since some parts of Alaska are accessible only by boat or plane. In Florida, HIV was identified as the most distinctive cause of death, where about 15,000 people died from the disease. But in numerous cases, the most distinctive cause of death was still quite uncommon. Although Syphilis caused only 22 deaths in Louisiana, it is considered as the most distinctive cause of death in that particular state.